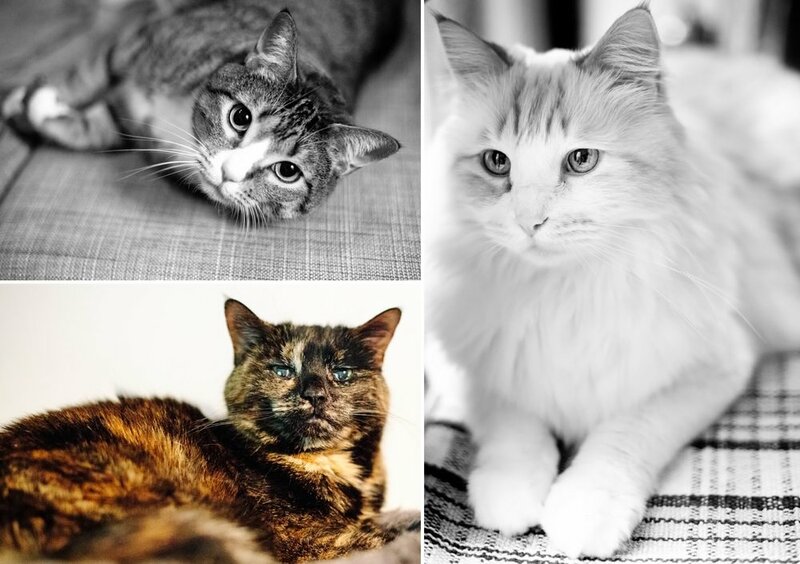 We were instantly excited when we first heard from Chip and Adrienne, because we had something in common: four cats in a Manhattan apartment! Like us, they consider their pets to be an important part of their household, so they wanted to get some shots of their cats during their engagement session. After a quick stop in the park for couple's portraits in Alphabet City, we went inside to coax Georgie, Trousers, Beans, and Bun Jr. into posing for the camera. More photos to come soon, but for now, here's a sneak peek! Interested in having us take pictures of you and your furry friends? You can view more of our portrait work here, or contact us for more details.